Installing vent pipe flashing on an existing roof is not a complex project. 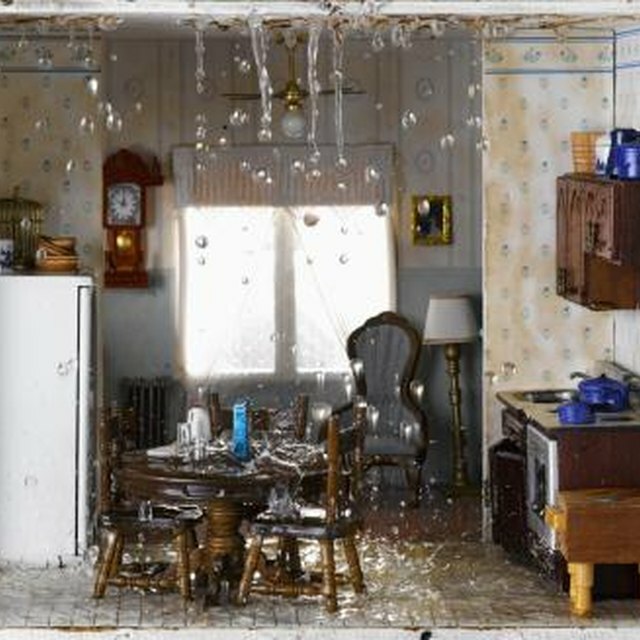 Not only will it reduce potential water damage, but this simple job can save the homeowner hundreds of dollars down the line. To ensure that the installation is leakproof, however, it is important that the flashing and the adjacent shingles fit around the vent pipe properly. Common tools and a few simple steps will ensure a watertight seal when installing vent pipe flashing on an existing roof. Bend back the roofing shingles above and on the two sides of the vent pipe with a pry bar. Do not pry back the shingle beneath the vent pipe. Slide the new flashing over the vent and into position. Install the flashing under the top and side roofing shingles, but lay it above the roofing shingle that lies below the vent pipe. Turning the flashing as you lower it into place will make the installation easier. Be sure the neck, or hole, of the flashing fits snugly around the vent pipe. Hammer the roofing nails into the top and sides of the flashing sleeve, making certain the top and side roofing shingles are bent back so as not to nail through the shingles. Seal the nail heads with roofing cement. Hammer the roofing nails into the bottom edge of the flashing, making sure the flashing lies on top of the shingle located just below the vent pipe. Seal the nail heads with roofing cement. Seal around the edges of the flashing with roofing cement. While you are up on the roof, cap the roof vent with hardware cloth to keep out animals and debris. Apply the cloth down over the sides of the pipe, and glue it in place with leftover roofing cement. Use nails made of the same metal as the flashing material. Dissimilar metals may react with one another, hastening corrosion.